Latvia's Jelena Ostapenko stunned third seed Simona Halep 4-6, 6-4, 6-3 on Saturday to win her maiden Grand Slam title and become the lowest-ranked champion in French Open history. 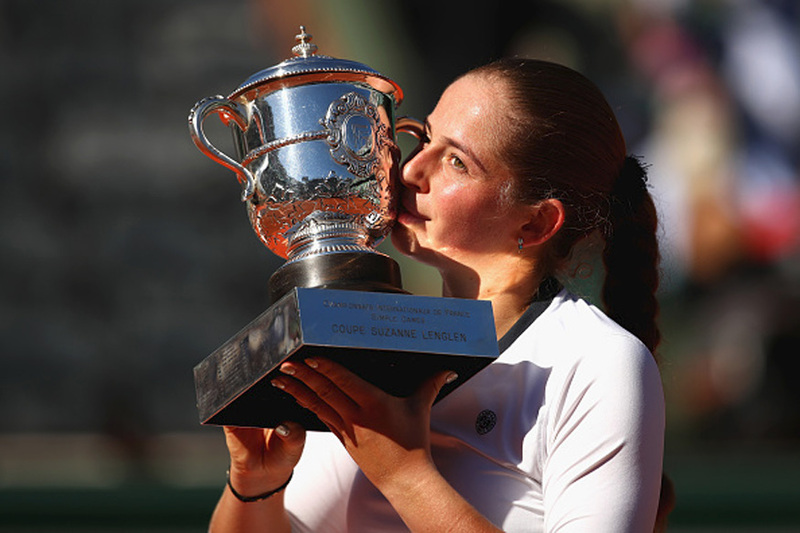 Ostapenko, 20, is the first unseeded player to lift the Roland Garros title in the Open era and the first Latvian major champion in history. She is the youngest French Open winner since Iva Majoli in 1997 and the first player to win a debut tour-level title at a Slam since Gustavo Kuerten in Paris that same year. For Halep, bidding to join compatriots Ilie Nastase and Virginia Ruzici as major winners, it was a second final defeat in four years at Roland Garros. The 25-year-old would have replaced Angelique Kerber as world number one with victory, but Halep was overpowered as Ostapenko blasted 54 winners to the Romanian's 10. Ostapenko set the tone immediately, disguising any nerves with an array of bruising groundstrokes to break Halep in the opening game. But the Romanian delivered a swift counter-punch, hitting back straight away on the Latvian's serve before holding with ease for 2-1. More crisp shotmaking for Ostapenko nudged the 20-year-old ahead once more, but the errors flew off her racquet just as regularly and Halep pulled 4-3 in front. Ostapenko's wildness betrayed her as she served to stay in the set at 4-5, netting a forehand to offer Halep set point and drilling long to gift the Romanian the set. The Latvian's mood soured further when Halep escaped from 0-40 down to begin the second set, the third seed then breaking Ostapenko to compound her frustration. Halep consolidated with a gritty hold for 3-0 before Ostapenko fought off a trio of break points to stall her rival's momentum and spark an incredible comeback. The Latvian moved level on serve when Halep hooked a forehand wide and then earned another break to chalk up a fourth game on the trot. The errors crept back into her game and Halep responded for 4-4, but Ostapenko promptly broke to love to leave herself in sight of a deciding set. She conjured up three set points with a laser forehand down the line, forcing the match to a third set with another sweetly-struck winner. Ostapenko continued her feast or famine style but watched two break points flash by as Halep withstood a sustained assault. Halep broke for 3-1 when Ostapenko drilled long, but the latter retrieved it the next game with a thumping return. The Latvian stepped in to pummel a weak second serve for 15-40, with Ostapenko grabbing a huge slice of luck when a wayward backhand clipped the net and dropped just over for a 4-3 lead. Halep, who saved match point against Elina Svitolina in the quarter-finals, had no response this time and Ostapenko sealed a stunning triumph with another break by hammering a backhand down the line.